Ripples and footprints are impressions left along the white sand beach in the town of Lockeport, Nova Scotia. The white sands of Crescent Beach link the small town of Lockeport, which would otherwise be situated on an island, to mainland Nova Scotia. 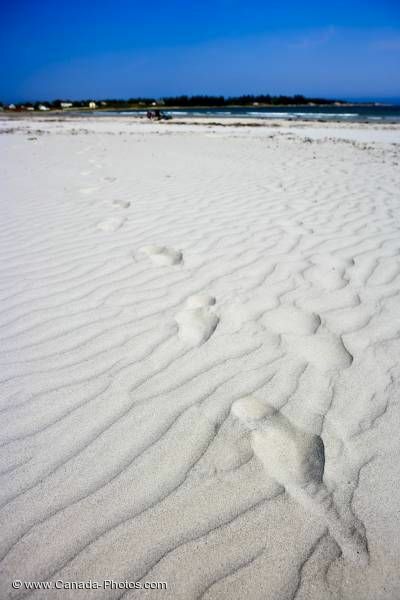 Footprints in the white sand of Crescent Beach in the town of Lockeport, Highway 3, Lighthouse Route, Nova Scotia, Canada.